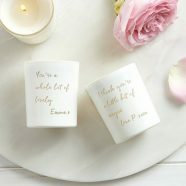 Celebrate your special place. 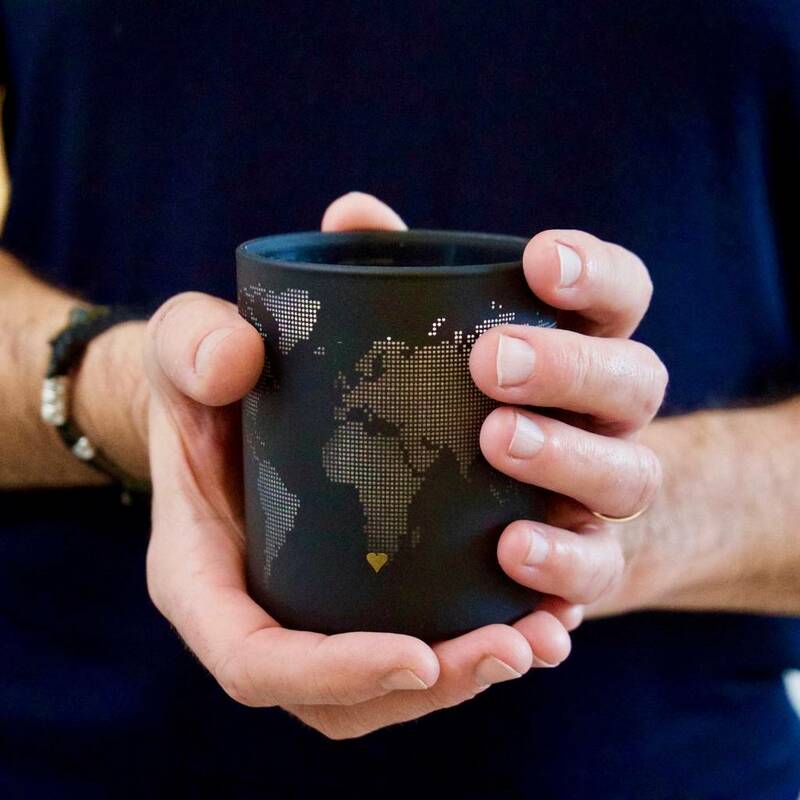 We all have somewhere that holds a special place in our heart…and a memory we want to hold close. 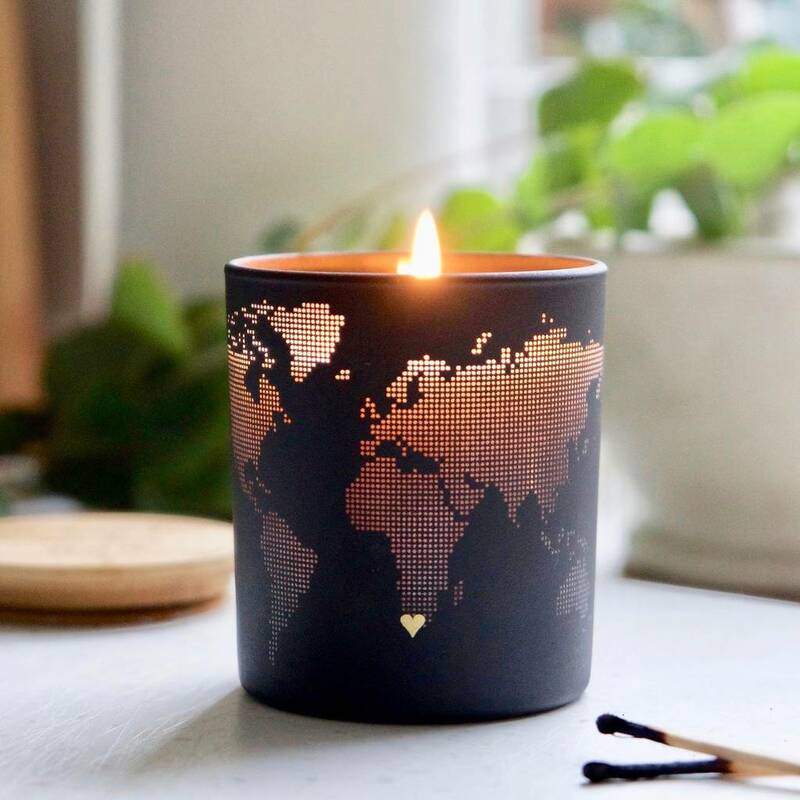 A beautifully scented, matt black candle that is etched with tiny dots to create a map of the world. 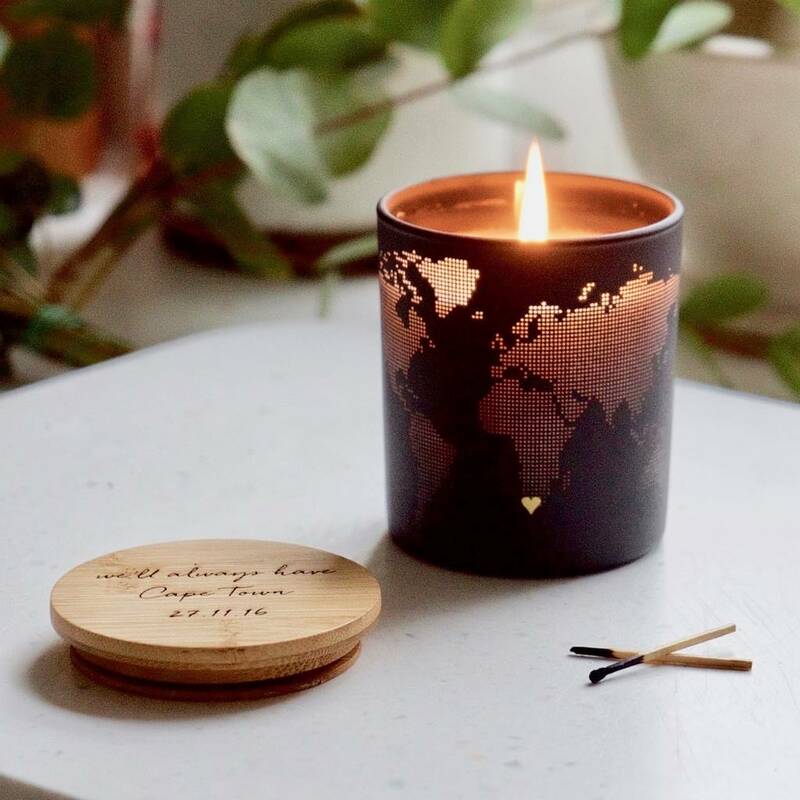 The candle will come to life when lit and the map will be softly illuminated, reminiscent of the Earth from space. 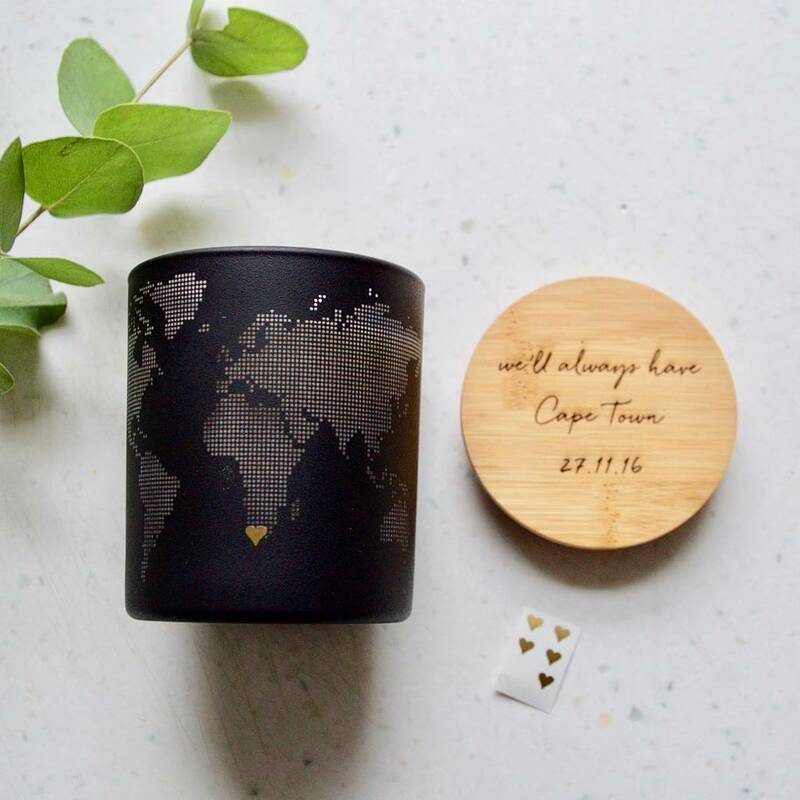 Use the little gold heart stickers enclosed with your candle to map your favourite location. 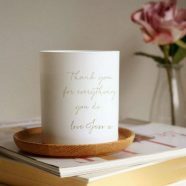 Perfect for marking a memorable place, wedding or trip of a lifetime. 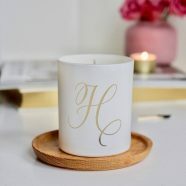 Your candle will be presented in a lovely branded gift pouch and is scented with Noir – a timeless and aromatic scent for your home and one that will envelop your senses. 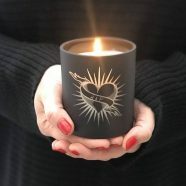 Combining woodsy notes of sandalwood and patchouli with a sheer amber and vanilla heart. 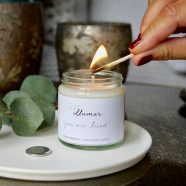 Sensuous and sophisticated. 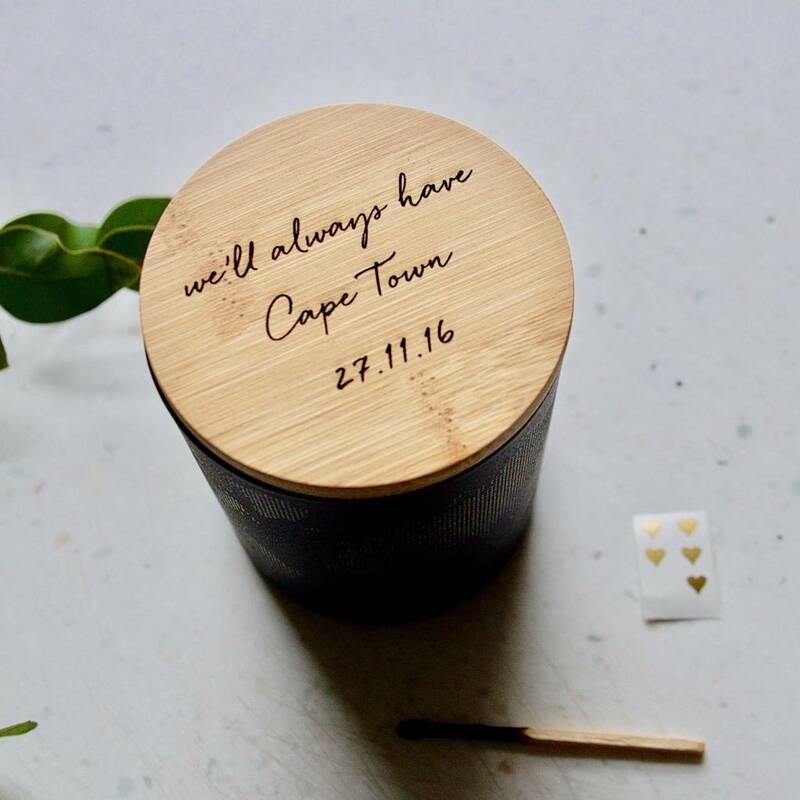 Bamboo wooden lids are also available and may be etched with your personal message to create a treasured keepsake.